Two days after protesters forcefully removed the “Silent Sam” statue in Chapel Hill, a dramatic scene that fetched jeers from many state leaders and cheers from long-time Confederate statue critics, members of a key state commission voted against the removal of three similar monuments to Confederate soldiers in downtown Raleigh. 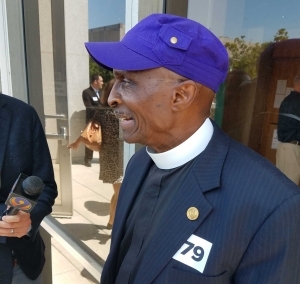 The North Carolina Historical Commission voted 9-2 Wednesday against their removal, but only after a morning filled with hand-wringing and personal statements. “[G]iven the specific legislative prohibition against the removal of objects of remembrance, the Commission at this time is unable to recommend the removal or relocation of the three Confederate monuments because removal or relocation is not required to preserve these three monuments,” the committee’s resolution on the matter read. The commissioners took pains to say they believe the number and prominence of Confederate monuments on the State Capitol grounds both distort the history and causes of the war. They also noted the statues insult Black residents and other minorities, some of whom may be offended by their presence. Commission members called on Gov. 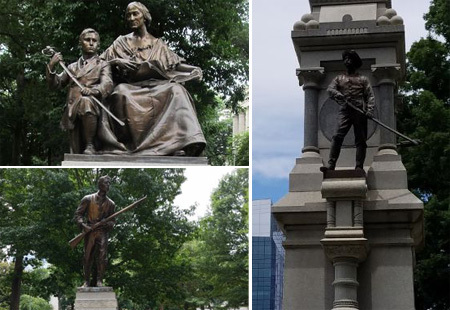 Roy Cooper, the General Assembly and the Department of Natural and Cultural Resources to mitigate that by providing signage to contextualize the statues and erect new ones that are more diverse and inclusive. But ultimately, the majority on the commission said, they felt constrained by current law to keep the statues. The decision referred to the 2015 law passed as momentum built throughout southern states to remove Confederate monuments. The law sets out narrow circumstances under which such statues can be removed or relocated. Beyond requiring that the statues be moved only to preserve them or if necessitated by construction, the law also says they must be moved to a comparable place of prominence. That would be difficult, the commission said, given that they now occupy one of the most prominent places in the State Capitol. The Henry Lawson Wyatt Monument, erected in 1912, which commemorates the first Confederate soldier killed in the Civil War combat at the Battle of Bethel on June 10, 1861. The Monument to North Carolina Women of the Confederacy, erected in 1914.
Cooper petitioned the commission to relocate the statues to the Bentonville battlefield in Johnston County. After the toppling of a Confederate statue in Durham last year and of the “Silent Sam” monument this week, many argued the statues in Raleigh are actually in danger and need to be moved in order to preserve them. But Valerie Johnson and Noah Reynolds, the two commissioners who cast “no” votes, said the statues should be removed for more fundamental reasons. Johnson is the Mott Distinguished Professor of Women’s Studies and Director of Africana Women’s Studies at Greensboro’s Bennett College and chair of the North Carolina African American Heritage Commission. She is also one of only two Black members of the 17-member Historical Commission. The statues were erected well after the war, in a white supremacist wave during the Jim Crow era, Johnson said. Those who erected them were open about their goal to create white supremacist monuments to the lost cause of preserving slavery. Johnson said she has heard it said that removing the statues amounts to erasing history, but disagrees. Reynolds, the great-grandson of the founder of the R.J. Reynolds Tobacco Company, recounted his family’s complicated history with racial issues. His ancestors owned slaves on a large scale, he said, and Black people were employees and domestic help when he was growing up. But as a young adult he became more personally aware of the struggles of Black people in America and in our state — both historically and in the modern day. He began attending a Black church in Winston-Salem and was baptized and married by Black pastors who became close family friends. Reynolds said he agrees with those who say the monument issue should be taken up by elected officials rather than the Historical Commission. But they haven’t done so. “The persistent inaction, inflexibility and insensitivity of the General Assembly has caused me to act,” Reynolds said. That persistent inaction — from the General Assembly and the UNC Board of Governors — likely led to the toppling of the Silent Sam monument, Reynolds said. Now, he said, it should lead the commission to take action rather than defer to an unjust law. Before the commission’s final vote, Wednesday’s meeting was briefly interrupted when a woman rose in the audience to read a prepared statement on the statues. The woman, who police later identified as 35-year-old Ashley Popio of Raleigh, was forcibly ejected from the room, cuffed and taken away in a State Capitol Police vehicle. Authorities said she was cited for intentionally causing a public disturbance and obstructing a police officer, both misdemeanors. She was released after her citation, police said. 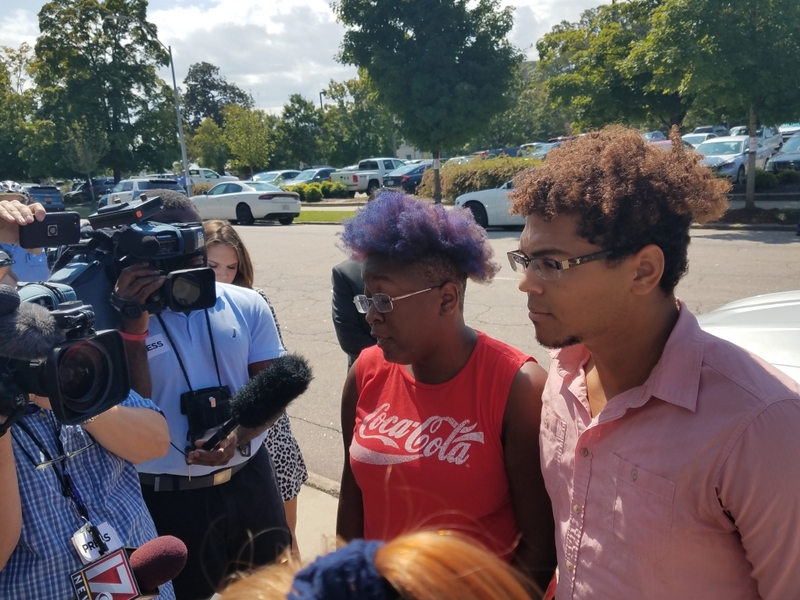 Moments later, Gabrielle Middlebrooks of the Workers World Party of Durham condemned the arrest and the commission’s decision. She said she wasn’t impressed by the commissioners’ condemnation of slavery and the Confederacy as it wasn’t backed up with action. Middlebrooks rejected the idea of re-contextualizing the Confederate monuments with new signage. Gabrielle Middlebrooks of the Workers World Party of Durham condemned the commission’s decision. The Rev. T. Anthony Spearman, president of the North Carolina NAACP said he was deeply disappointed by the commission’s decision. Spearman said there is a growing frustration with the inability of the people of the state — especially minorities — to be heard by their government. Spearman said he does not agree with pulling down statues when they can’t be removed by other means — but he understands why it happens. 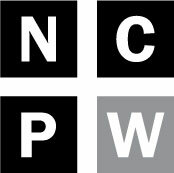 Frank Powell, representing the N.C. Sons of Confederate Veterans, said he considered the committee’s decision the best outcome for his group. 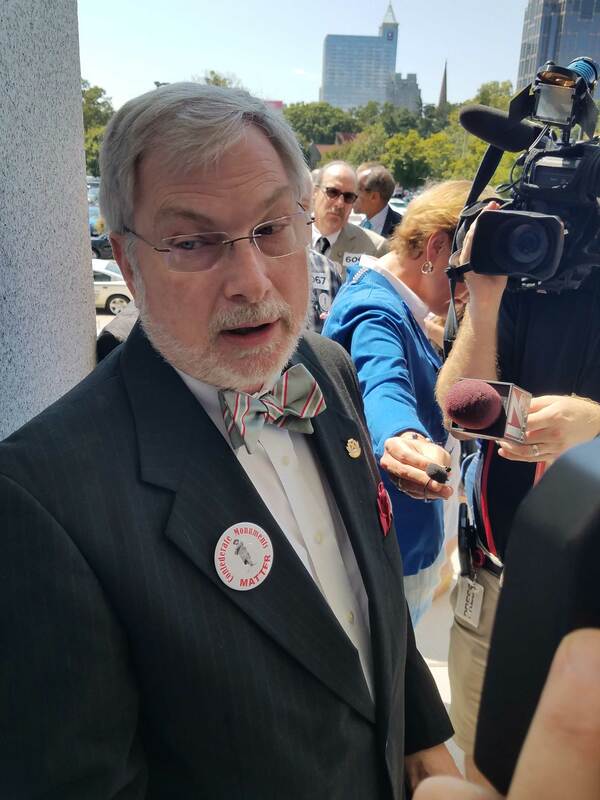 He expressed skepticism about new signage contextualizing the monuments because, he said, it was clear some of the members of the Historical Commission had the wrong idea about the history and causes of the Civil War. He would reject any language that suggested slavery was the only cause of the war, he said. He said he also rejected historians’ conclusions that these monuments were erected as part of a wave of white supremacy during the Jim Crow era. It simply took that long for a devastated South — particularly North Carolina — to be able to afford monuments to those who fought for the Confederacy, he said. “The fact that it coincided with the Jim Crow era is just a coincidence,” he said. While criticizing protesters who broke the law in bringing down statues, Powell was asked if he and his group believe people should not have defied then-legal segregation in protest as part of the Civil Rights movement. Powell said he and his group have no position on that. Gov. Cooper and Senate President Pro Tem Phil Berger (R-Rockingham) both issued statements on the commission’s decision Wednesday afternoon. Cooper addressed the toppling of the Silent Sam monument in the statement as well, making the link between that monument and those in Raleigh that many members of the commission did Wednesday. Berger also alluded to Silent Sam’s destruction.